As was announced earlier this summer, an unreleased concert recording of Thelonious Monk will see the light of day later this month. The jokily-titled live album, Mønk, consists of selections from a Copenhagen concert the iconoclastic pianist performed in 1963. 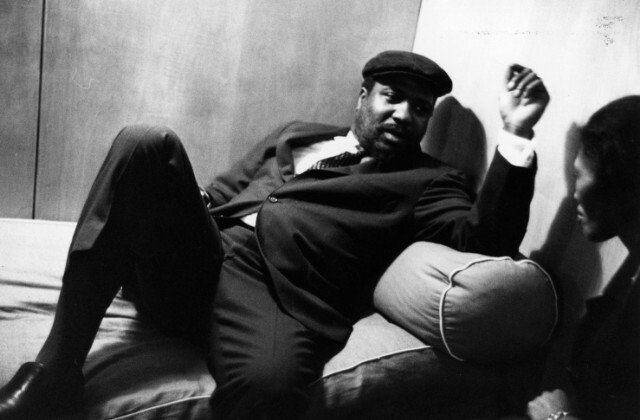 On the recording, Monk is backed by his preferred quartet of that time period: saxophonist Charlie Rouse, bassist John Ore and drummer Frankie Dunlop. Gearbox Records has remastered the vaulted tape of the concert, and will release the 5-track album on September 28. Now, as Stereogum points out, the label has posted an advance track from the album: a new version of “Nutty,” one of Monk’s standard original tunes from the late ’50s and ’60s. Fortuitously, the Mønk tape comes from the same year in which the recently released John Coltrane “lost” quartet album, Both Directions at Once, was recorded. The Coltrane album hit #1 on the jazz charts this year, a statistic which is cited optimistically in the copy on Mønk’s Bandcamp page. While the new Monk live tape doesn’t exactly qualify as a “lost album,” it will undoubtedly capture a legendary jazz ensemble at the height of their ability and innovativeness, as the Coltrane LP did. Listen to “Nutty” below, and preorder Mønk here or here.